Welcome To Douglass Landscaping, your local landscaping and hardscaping company! Contact us today for a no obligation quote or view some of our lawncare and paver galleries. Cape May County's Premier Landscape, Hardscape, Excavation & Snow Removal Company! Professional, Fully Licensed and Insured, Reliable - - Contact Us Today For A No Obligation Quote! Douglass Landscaping Services, L.L.C. is a full service landscaping and lawn care company owned and operated by Ryan J. Douglass, alife-long resident of Cape May County. His 20+ years of landscaping experience combined with a pride in the work he provides has built a reputation of dependability, high quality work, and friendly smiles. Whether its Lawncare, Landscaping Maintenance, or Snow Removal, Douglass Landscaping is the perfect full service landscaping company. 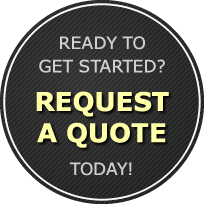 Give Ryan a call at (609) 374-0064 for additional information or to request a free quote!